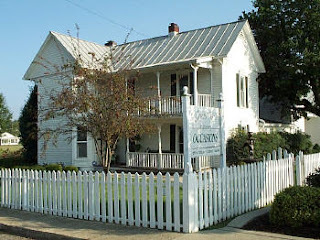 Built in the 1800's, this Victorian house offers a relaxed atmosphere with friendly service, unique gifts, home decor, ladies boutique, children's apparel, antique furniture ... to mention a few. During 2004, a major addition was undertaken to add more display rooms, the 5 Chefs restaurant, a coffee shop, and a large conference room. Directions from NashvilleTake I-65 north to exit 117 (Portland/Orlinda)Turn right on Tenn. Hwy 52.You will cross U.S. Hwy 31-W at a 4-way stop sign.Continue on Hwy. 52 for approximately 5 miles.Turn left on Tenn. Hwy. 109 (at the McDonald's).Turn left at stoplight #7, McGlothlin Street. 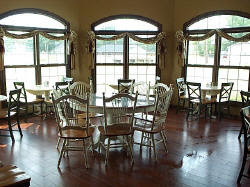 We have a conference room and two private dining rooms for rent for any occasion. Large groups welcome. Reservations recommended. Apparel SweatersVera Bradley Purses Jewelry... and more! Household Items Lamps Mirrors Candles Clocks Bookends Picture Frames Paintings Pewter Crystal Home Decor Gail Pittman Pottery Flowers Wind Chimes Rugs Decorative Items Cookbooks Place Mats Napkins... and more! 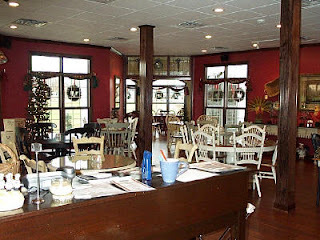 Mon - Fri 6:30 a.m. to 4:00 p.m.
Mon - Sat 6:30 a.m. to 10:00 a.m. (Breakfast). Sunday, November 18, 200711 a.m. to 2 p.m.Lunch will also be open to the public from 11 a.m. to 2 p.m. Occasions and 5 Chefs invite you and your friends for an afternoon of fun .. fun ... fun! Special savings throughout the store! Christmas Vacation Occasions will be closed December 25-27, 2008. We'll reopen on December 28 for the after-Christmas sale! 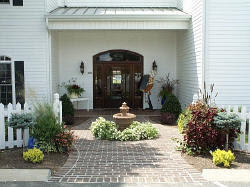 A Shopping DelightAmid the hustle and bustle of the thriving Hendersonville community, there is a hidden treasure. Once a consignment shop, now an eclectic boutique, One Man's Treasure offers a wide variety of unique items. 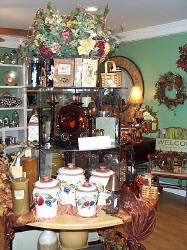 Inside, you can find anything from candles to quilts, iron works to aprons, and an array of object d'art. One of their best sellers is the Circle E Candle, which is incredibly long burning and comes in many wonderful aromas. Spring brings many new “finds” to the shop. 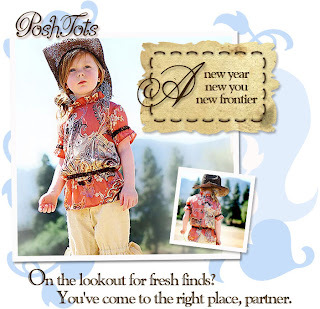 Adorable note cards and desk sets, trendy jewelry and purses, and precious new items for baby make up just a sampling. This shabby chic spot carries a beautiful selection of vintage furniture and the Garden Room displays the latest in garden themed items and truly delightful botanicals. 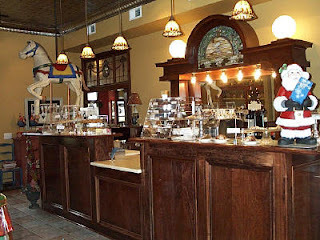 One Man's Treasure has been in business for several years, but was acquired in December of 2006 by husband and wife, Geoffrey and Kristi Pace. They reside in Hendersonville with their twin boys, Cannon and Conner. Kristi grew up in a retail environment as her family owned Whitman's Bakery for over fifty years. She has been providing friendly customer service since she was a little girl, bagging cookies and counting out change. Now she spends her days providing an enjoyable and unique shopping experience for her customers. One Man's Treasure is located in the heart of Hendersonville at 157 Old Shackle Island Road and can be reached at 615-264-1221. 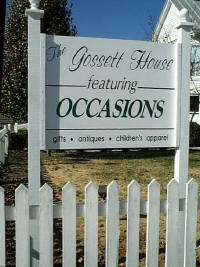 The shop is open Tuesday through Saturday, 10:00am to 5:00pm. “What do I put my kids in? How do I get my sister to move to Nashville ? And, what will my mom and I do when the kids are in school?” With those questions in mind, Stephanie Dickinson, her mother Sandra Loewen, and sister Tiffany Breckenridge made their dream of owning their own shop a reality, and Bullfrogs and Butterflies was born. Sandra spent the first 27 years of her married life running a household of 4 daughters. Her specialties as a mom included taxi service, time management tactics, chef extraordinaire, child psychologist, and best friend. For the past 10 years, she has managed medical practices. Stephanie began her career in advertising. After becoming disillusioned with corporate America (and more importantly, when her husband finished school), she traded in her briefcase for a diaper bag. Her two children, Brett and Taylor are her little Bullfrog and Butterfly. So the story goes, Tiffany traded in her surfboard for cowboy boots, Sandi got back on Quicken, and Stephanie's husband has been putting the kids to bed. “Become a Junkie"That is a Bath Junkie. With all of the stores out there that sell bath and body products, why settle for what they have to offer? Bath Junkie in Hendersonville enables customers to create their own scent. You, the customer, are in control and can design your own body products. Dedicated Bath Junkies, Nicole Gant and Hollie Durham, visited a Junkie store once and became hooked. They liked the idea of being in control of what products were created and the scents they blended themselves. That's why they plunged into starting a Bath Junkie franchise in Hendersonville . 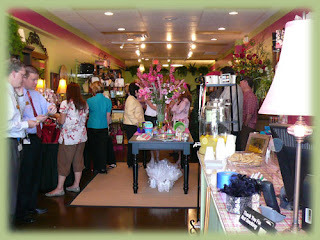 Bath Junkie is owned by Jon and Judy Zimmer out of Fayetteville , Arkansas . 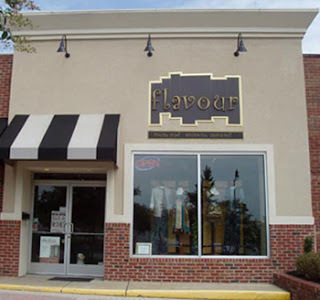 They started the company in 1996 and began franchising in 2000. Bath Junkie products are safe, beginning with an all-natural baby line to spa tub safe bath crystals. Only the highest quality of products are used, including a phosphate-free bubble bath and mineral oil free lotion. 709 W Main StHendersonville, TN 37075(615) 824-3223Better Business Bureau Member Since: 2007-08-31Mon-Fri 9:00-5:30 Saturday 10:00-3:00 Services:Area Rugs, Furniture, Gifts, Lamps, Framed Art, Jewelry, Candles, Carpet,Tile, Vinyl, Hardwood, Interior Design Services and more. Enjoy an exclusive offering of unique gifts, one of a kind jewelry, children's couture clothing, heirloom hand painted furniture and accessories brought to you by local artisans. 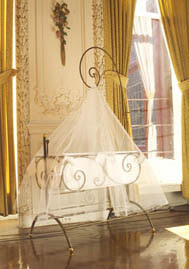 Embroidery, Gifts & Home Decor.